Are you currently under suspicion for a crime in any of the San Francisco Bay Area counties? Have you already been arrested or charged with a criminal offense? 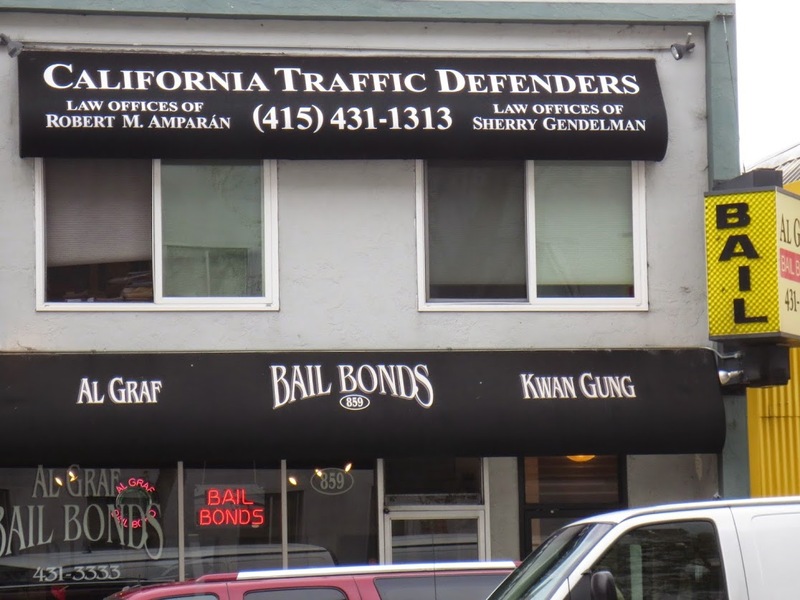 If so, the San Francisco Bay Area criminal defense lawyers at California Traffic Defenders can help you. We have two conveniently located offices – one in San Francisco and one in South San Francisco. We can assist clients in all San Francisco Bay Area counties, including San Francisco, San Mateo, Santa Clara, Alameda, Contra Costa, and Marin. If you need an experienced and qualified Bay Area criminal defense attorney, call California Traffic Defenders. Once law enforcement officials determine that a crime has been committed, and identify who they believe to be the perpetrator of that crime, they can then arrest that individual and refer the case to the District Attorney for prosecution. The District Attorney may then decide to prosecute the case, meaning that the individual gets “charged” with the crime. Under the American criminal justice system, a person accused of a crime has several important Constitutional rights. These include the right to be represented by an attorney, the right to be considered innocent until proven guilty, the right not to be forced to incriminate himself, and the right to a trial by a jury of his peers. Once you have been charged with a crime, there are several possibilities for how the case may proceed. The charges may get dismissed, you may have the option of pleading guilty for a reduced sentence, or your case may proceed to trial. You will be convicted of a crime if you either plead guilty or are found guilty after a trial. Once a conviction is obtained, courts have the authority to sentence you and may impose various penalties, some of which can be very severe. In California, depending upon the crime involved, punishment may include monetary penalties, community service, restitution to the victim, participation in a treatment program, a suspended driver’s license, formal or informal probation, incarceration in jail or prison, or even the death penalty. Furthermore, a conviction may have other impacts: a permanent and publicly accessible criminal record, permanent ineligibility for public benefits (including welfare); ineligibility for many types of employment; loss of the right to vote; loss of the right to serve on a jury; and, for immigrants who have not obtained citizenship, deportation or exclusion from naturalization. Apart from these legal consequences, there may be other consequences, less direct, such as the deterioration of personal relationships, the inability to acquire future employment, obtain credit or secure student loans, and the social stigma of a criminal past. In other words, when you are facing conviction for any crime, no matter how big or small, your rights, your property, your freedom, and your reputation are on the line. When the stakes of a conviction are so high, it is absolutely essential for you to seek the advice and representation of a seasoned criminal defense attorney as soon as possible. Furthermore, you need to find an attorney familiar with the way the criminal justice system operates in the jurisdiction in which you may be prosecuted. At California Traffic Defenders, we are wholeheartedly dedicated to the bedrock principle that an individual is innocent until proven guilty in a court of law. We pride ourselves on being aggressive defenders of our clients, and making sure that the prosecution is never given an easy job in trying to prove beyond a reasonable doubt that our clients committed any crime. To confront any witnesses against you. If you have been arrested or charged, or even if you are merely being questioned on suspicion of a crime, call us for a free consultation. We have helped many Bay Area criminal defense clients through all stages of criminal proceedings, from questioning to arrest, charge and negotiation, all the way through trial and sentencing. Before you talk to anyone else—family, friends, or the police—make sure you get the advice and assistance of the Bay Area criminal defense attorneys at California Traffic Defenders. We can provide the guidance and advice you need to make sure that you obtain the best possible results in your encounter with California’s criminal justice system. Call us today at 1-877-460-8895 or contact us online.